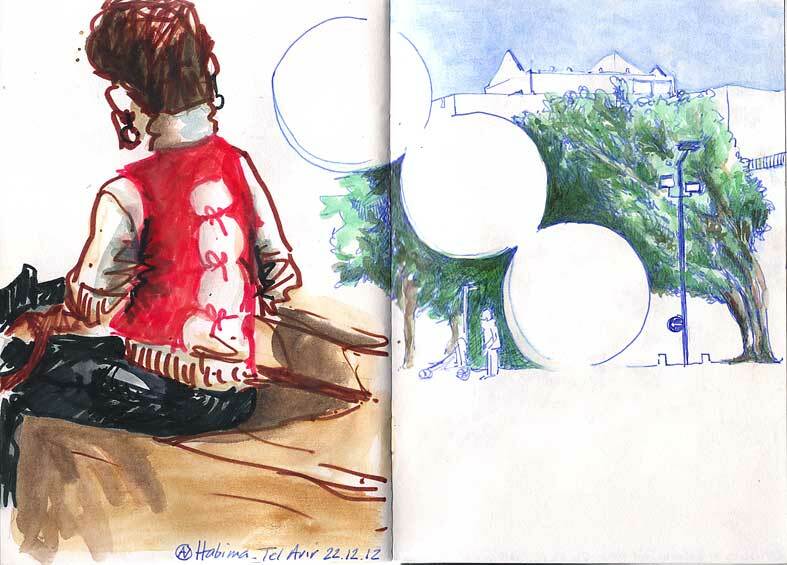 Here is my production during the sketchcrawl in Habima Tel Aviv. 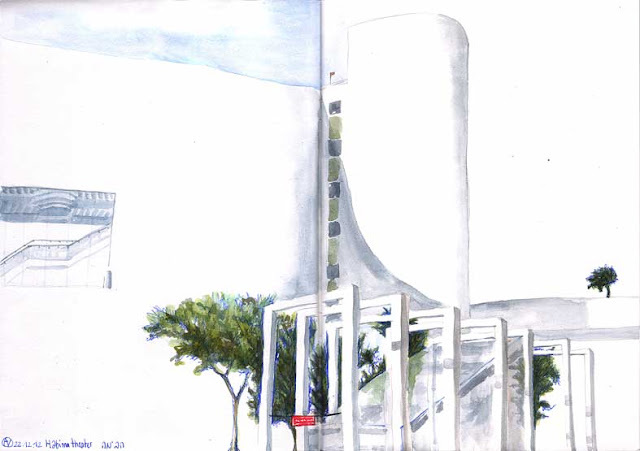 I didn't concentrate so much on the people this time, as I did it already by myself few months ago in Habima… I decided to work more on the architecture and the environment which is very interesting over there. 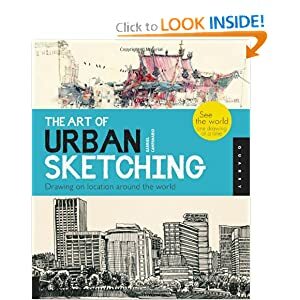 It's actually interesting to decided to target your series of drawings with a intention : to choose an subject to follow and do your drawings according to this subject. Shadows, line of sky, movement, whatever. I found it helpfull to get your attention going in one direction as your doing your sketch and not doing the same technique and drawing again and again in the same way with the same final effect. Great idea! Love your subject. The last drawing with the square arches is breathtaking. 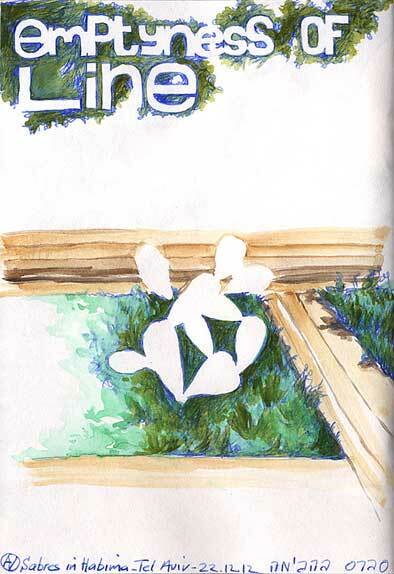 yes, I also liked the idea of giving a subject to ourselves. That's way we didn't stay with our style that we're "good" at, but always trying something new and developing! terrific sketches! שמש של אחרי גשם בככר הבימה.